Project: H.F.M. : Project HFM Kickoff! 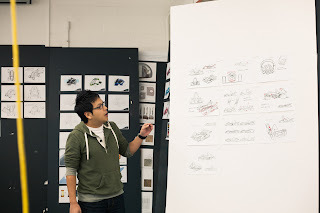 After returning from a short winter break, CSULB Industrial Design seniors were back in action with plenty of concepts for Project Hot Flying Metal. 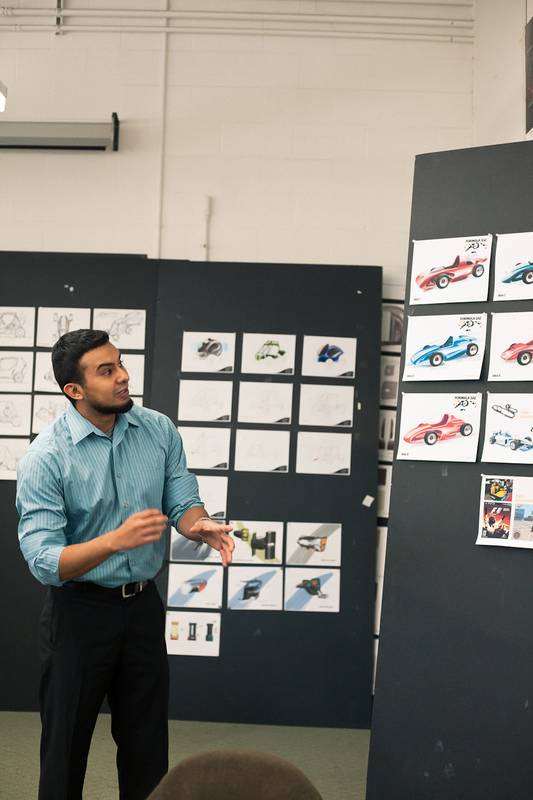 Each student from the ID class presented 10 concept sketches and research relating to exteriors, controls, graphics and livery of both formula and baja style cars. 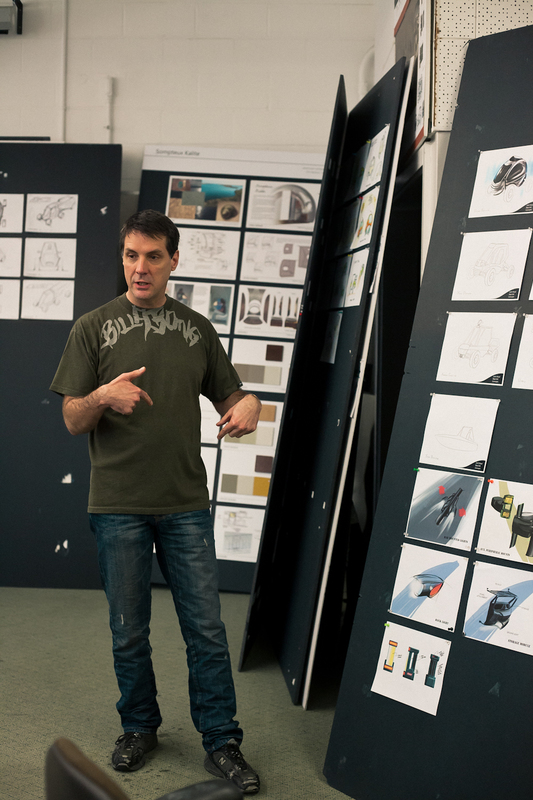 These concepts ranged from traditional approaches that reference past models, to blue sky concepts that might be applied to future competitions. This methodology helped in fashioning favorable styling cues while narrowing down feasible solutions. 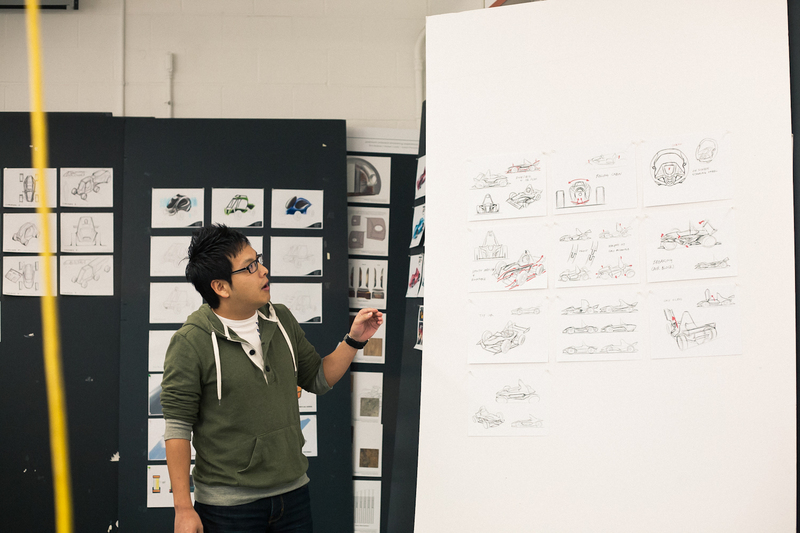 In addition to concepts for the competition, design students explored how the project could extend into other markets. Such consumer crossover might include game and toy design, soft goods accessories, and luxury transportation.